Dolores had the sudden intimation that the peyote breakfast milkshake was probably a mistake. Alltop drinks your milkshake. 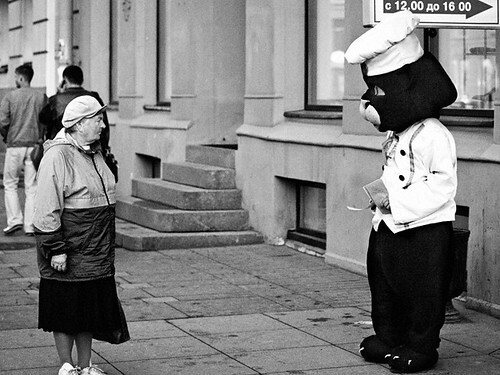 The Encounter, a photo by Modest Janicki (Modest and Jill) on Flickr.